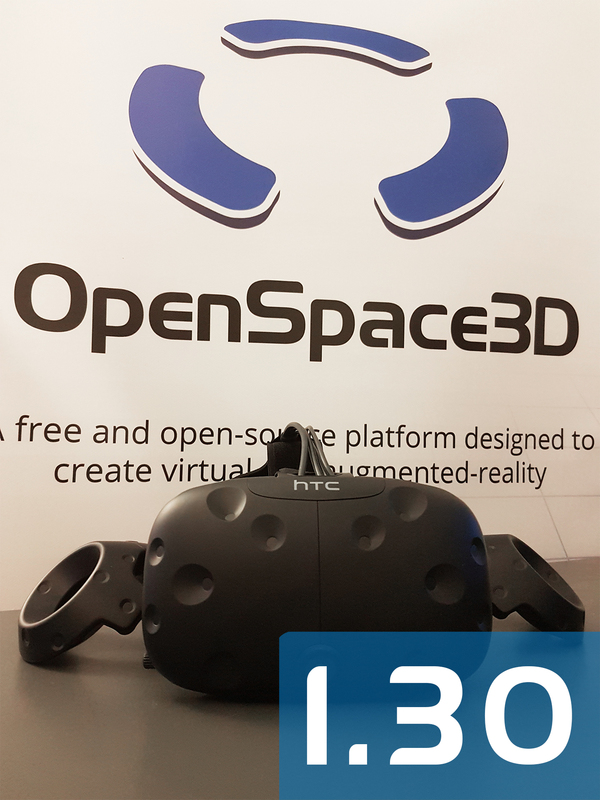 OpenVR support, material editor, new demos added … This 1.30 release of OpenSpace3D is loaded with new things ! Several plugITs have been added, some have been updated, and numerous optimizations improve your experience with OpenSpace3D. Dive into the world of virtual reality with OpenVR compatibles VR headsets, such as the HTC Vive ! 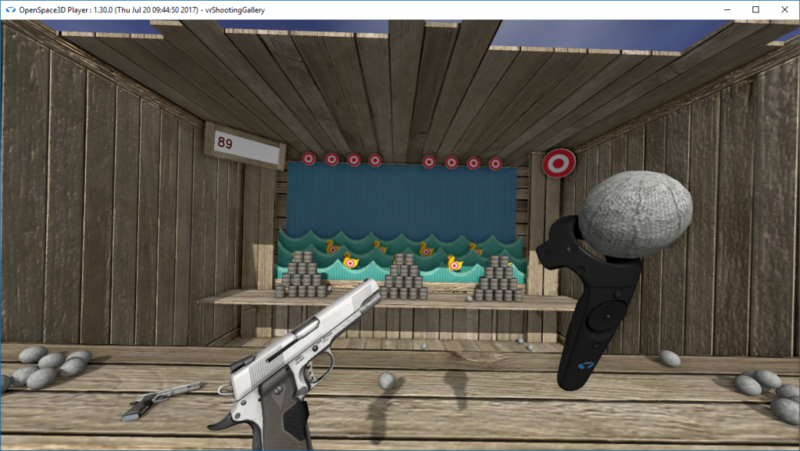 The integration of virtual reality in your applications is done with a few clicks, and all of the headset and controllers’s options are at your disposal. Do not hesitate to try VR shooting gallery, the new OpenSpace3D demo specifically designed to test the virtual reality. Needs the use of OpenGL to work. A brand new material editor has been implemented in this release, to allow to make changes on your materials and to visualize the result directly in OpenSpace3D. Colors, textures, reflections, render mode … The editor has every tool you need for your projects. 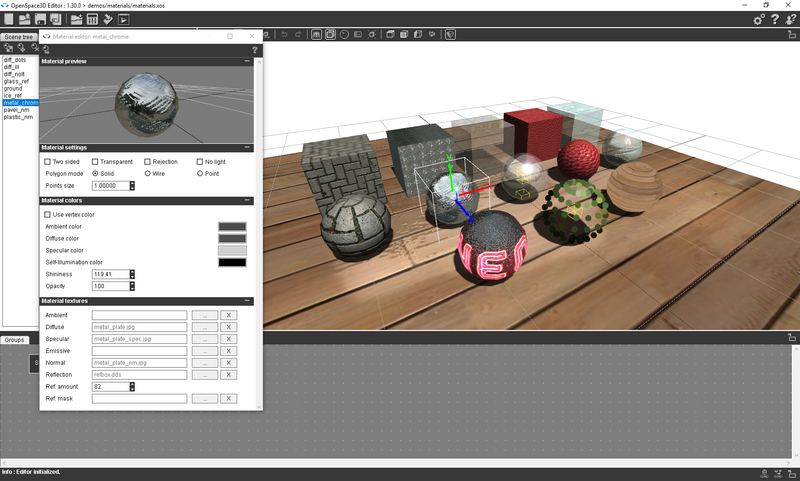 You can have a glimpse of the possibilities of the editor with the new Materials demo.